Scopes are used to filter the data that users have access to. A common use case for scopes is to track many different sites using one tracking code, but then limit reports/users to have permissions to only see a single site at a time. Scopes are found in the selector at the top right of the user interface. To manage or create new Scopes, click the Cog, then Administration navigation item in the top menu, and select Scopes. Click the Permissions button for the current Scope. Select or deselect checkboxes for Users by Role. Scopes are expressions used to identify what kind of data will be displayed. 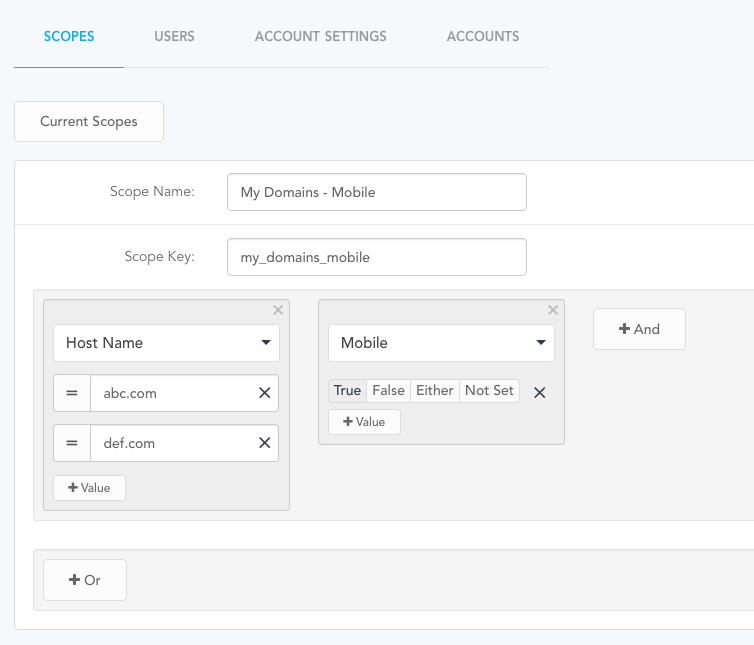 To start, select the + Create New Scope button on the main scope page. 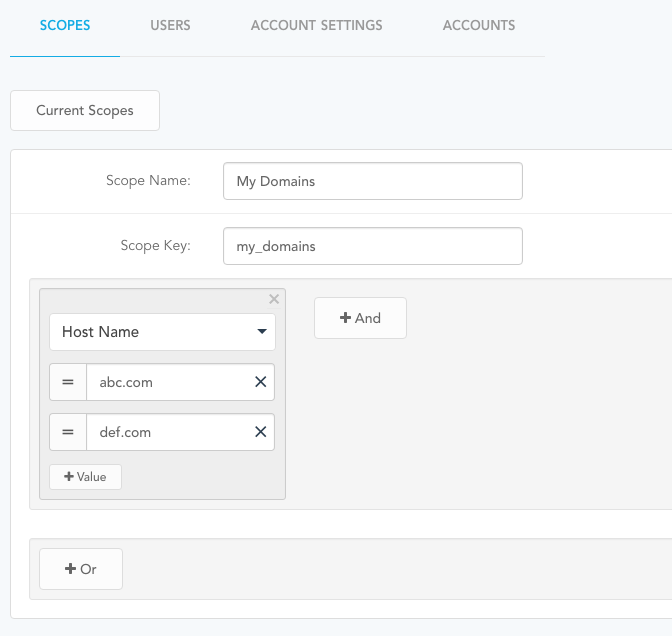 Scope for several Host Names.